Below you can view all the homes for sale in the Mesa Meadows subdivision located in Golden Colorado. Listings in Mesa Meadows are updated daily from data we receive from the Denver multiple listing service. To learn more about any of these homes or to receive custom notifications when a new property is listed for sale in Mesa Meadows, give us a call at 720-580-6937. Golden is full of walking and biking trails ~ You can catch one of them across the street from your wonderful new house! MLS#5645079. LISTINGS.COM. Click on the virtual tour link to view a narrated walk-through of this listing plus drone footage showing the City of Golden and mountains east and west. MLS#5537348. Golden Real Estate, Inc.. This home leaves little to be desired... just your personal touch! Come see for yourself! ! 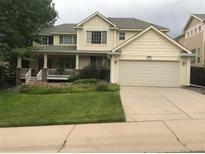 MLS#7427293. RE/MAX PROFESSIONALS.